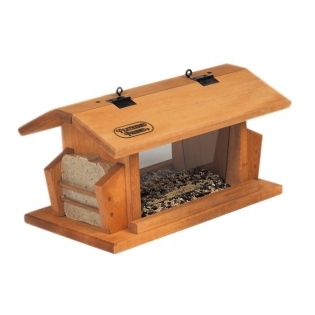 Its 4.5 Diameter Dish Holds 1 Cup Of Sunflower Seed, Mixed Seed, Fruit Or Mealworms. 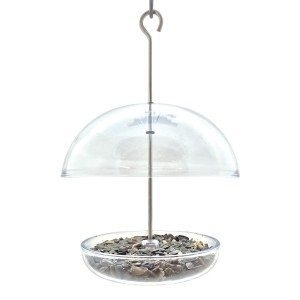 Dainty 6 Diameter, Height Adjustable Dome Offers Weather Selection and Bird Selectivity. 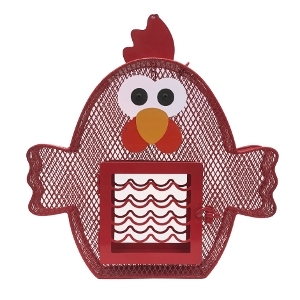 It's Easy To Clean and Hangs By A Quality Stainless Steel Rod. 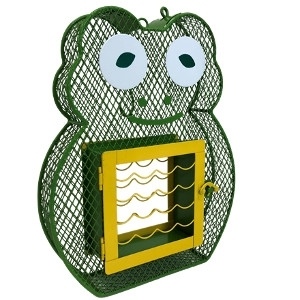 Uv-Stabilized Polycarbonate Ensures Feeder Lasts For Years. Lifetime Warranty Against Squirrel Damage.